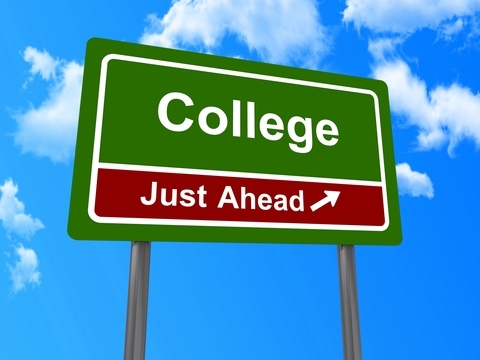 Selecting a college to attend can be a stressful process for both the future undergrad as well as the parents. Check out these four N.J. schools for help. Top four N.J. colleges of all sizes. More often than not, 17 and 18-year-old high school seniors have very little idea what they want to do with their life. Heck, most adults still don’t know what they want to do with the rest of their life. It is a thought that will forever evolve, as it should. Choosing a college can be an extremely challenging, discouraging, and overall stress-inducing time for high school students preparing to apply or visit colleges and university in the coming fall season. This means stressful weekend trips visiting potential schools and late nights at the home computer cramming to meet the application deadlines or perfecting that crucial college essay. College applications are no cheap expense, either, and so when seeking out the top schools for a future adult, it is important to be totally informed and have a well rounded idea of the student’s must-haves. What exactly are they looking for? A large university with a big football team or a small city school with a renowned art program? Or both? This decision does not determine the entirety of the student’s college career or future (transferring is always an option) but it does help in making them confident as they move into their unfamiliar home away from home. We’ve compiled a list of four New Jersey colleges and universities in size order for your benefit below. Check it out and remember, at the end of the day it is not about where you are but what you do. Happy hunting! Rutgers University offers a number of programs for students of all likes. The most popular programs are Business and Marketing, Social Sciences, and Engineering. It’s main (huge) location is in New Brunswick, N.J. but also has campuses in Newark, N.J. and Camden, N.J. The student body is largely made up of in-state residents. In-state tuition is significantly lower than out-of-state tuition. The total undergraduates at Rutgers comes in at 34,544. Also known as the Scarlet Knights, Rutgers has an NCAA Division 1 athletic program for students searching for a rowdy school. For fall 2016 freshman, Rutgers’ application deadline is December 1, 2015. MSU’s greatest benefit is its affordable in-state tuition. Its most popular programs are Business and Marketing, Psychology, and Visual and Performing Arts. The university has a large population of commuter students and transfers, however on-campus housing is available for students. With 15,885 undergraduate students, Montclair State is a happy medium between huge schools such as Rutgers, and small colleges such as Centenary College. MSU is perfect for students looking to intern, work, or travel to and from New York City. For the fall 2016 freshman, Montclair State’s application deadline is March 1, 2016. Seton Hall University is a medium sized school located in a suburban area, however getting in and out of New York City is still manageable. Its most popular majors include Health Professions, Business and Marketing, and Social Sciences. Total undergrads come in at 5,817 but it remains a Division 1 university, yielding exciting sporting events. Seton Hall is a private school with tuition averaging at $52,000. For the fall 2016 freshman, the application deadline is March 1, 2016. Centenary College is a small school located in Hackettstown, N.J. Its three most popular programs are Business and Marketing, Liberal Arts, and Visual and Performing Arts. With only 1,708 undergraduates, Centenary is mostly a commuter school, however on-campus housing is available. Because it is a private liberal arts college, its in and out-of-state costs do not differ, and average upwards of $45,000. There is no application deadline for interested students.